Before we actually decorated inside this week, we decorated the outside of our house on Saturday. We actually planned out something simple for the porch a while ago, but never had the chance to put it out. We waited until it was brutally cold Saturday afternoon. First I finally hung the outdoor wreath I made a few weeks back. 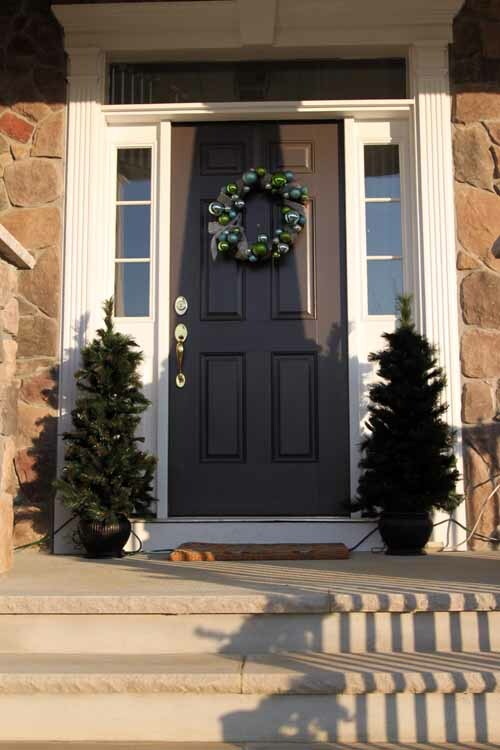 We also picked up two artificial trees for either side of the door. We actually planned to use those trees at the bottom of our porch staircase, but I completely forgot that we had two pointy evergreen type trees there already. So we strung those with white lights and put these artificial ones on either side of the door. Thankfully, my Christmas color scheme matched my spring/summer doormat so I just pulled that back out for the time being. The mess of wires was inevitable, we got the smallest sized extension cords they had. It was so cold out there that we tucked them in as best we could and ran back in! 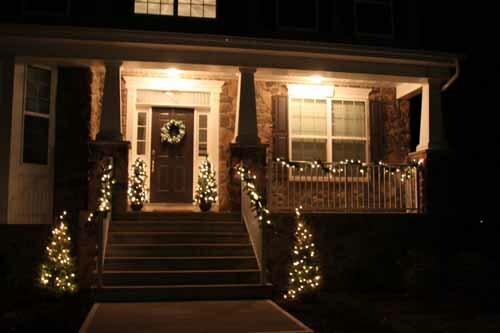 We added some pre-lit garland to the porch rails and wa-la! There’s our simple little porch. I would have snapped more pictures and played with the camera settings a bit, but the neighbors came out and I got all embarrassed that I was standing on the lawn, taking pictures of my own house, with a giant camera. Your outside decorations look great! I’m so glad I’m not the only one who feels embarrassed taking pictures of the outside of my own house, haha! At least I don’t think our neighbors have seen me… yet. It came together beautifully! 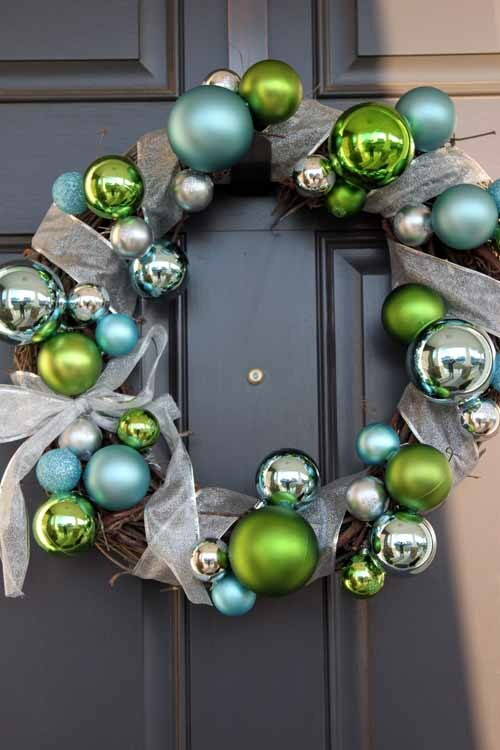 The wreath looks great in the natural light and in the dark it picks up the shine of the lights – wonderful!